Everyone pitches in to convert the Stage 1 building from a giant shed into a working museum! 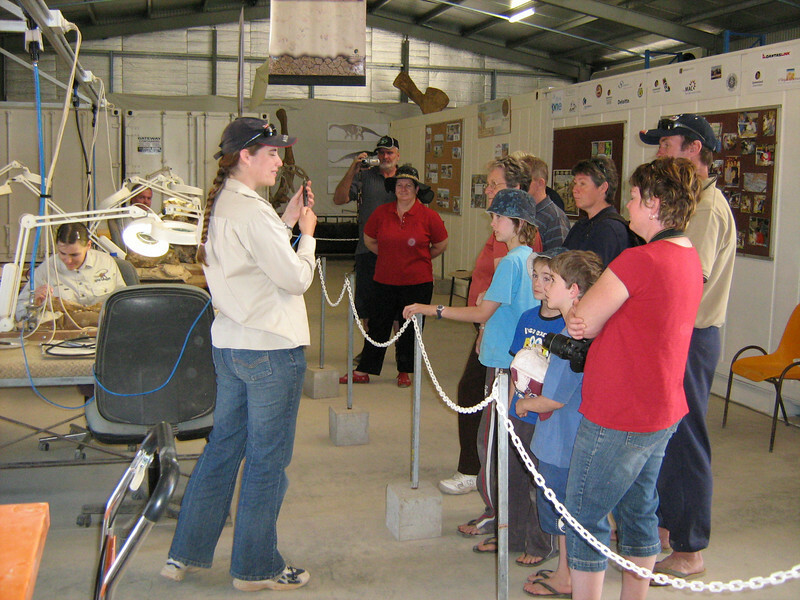 Here you can see how the area was transformed from empty floorspace to where visitors can see the exhibits and once again help prepare dinosaur bones in our new open-access lab. Most of the work was done in a frenetic two week period just prior to opening.